Our goal is to treat every customer the same regardless of budget. 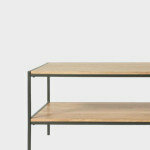 Everyone deserves to have a well thought out space and we work with all sorts of budgets. 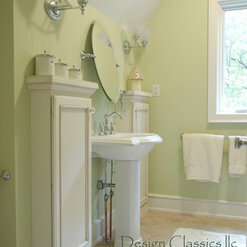 Let us help you design your space and gather the costs, so that YOU can make the decisions on how to spent your money. Our Galley Kitchen from 1979 needed a new updated look plus more space and countertops. 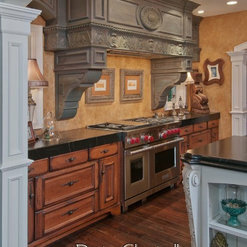 Jennifer and her team of professionals did an outstanding job of making our dream kitchen become a reality. It all began with Jennifer’s design and vision! We can now celebrate family holidays with our grown up family and grandchildren with much greater ease and the blessing of more space to spend time together! I was very pleased with the design work that Jennifer and her staff came up with for my project. 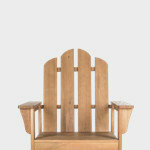 Her attention to detail and design knowledge helped my project run smoothly. 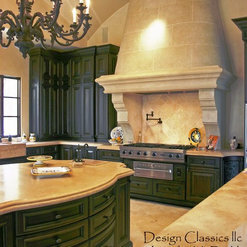 I would highly recommend Design Classics to anyone interested in remodeling their kitchen or bathroom. I’ve worked with Jennnifer on a few projects so far. 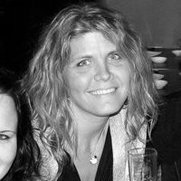 She has always been thoughtful and respectful of our needs and wants, and able to provide professional design advice to make our redesign projects a complete success! I highly recommend this company and the high quality service that Jennifer and her staff provides. Jennifer’s professional insight allowed me to maximize our living space in a way that really worked for my family. I would have never thought of the things she suggested! She really listened to our needs. Thank you, Jennifer! I love love love my new kitchen! 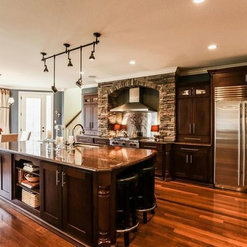 Every time I walk into my house I am in awe of how Jennifer was able to knock down walls and rearrange space which created the perfect kitchen for the Figys. 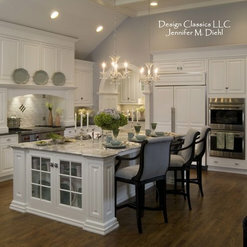 When I began working with Jennifer, I had some ideas of what I wanted the kitchen to look like and after spending time with my husband and I, she came up with a new design that was fabulous. Jennifer took into consideration our daily habits, family flow, and our love for cooking and designed a kitchen that is beyond our dreams. I had a wonderful experience working with Jennifer Diehl on my kitchen remodel and would highly recommend her to anyone who is looking for someone with an eye for creative design and the ability to personalize your space. Jennifer has a gift for design! 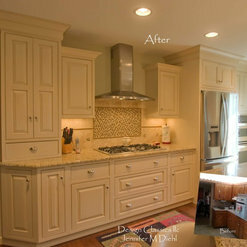 Our kitchen remodel was the second project that Jennifer worked her magic on. She was great about listening to our needs and coming up with a design to reflect them while incorporating the latest and greatest solutions available. She and the rest of her team are a pleasure to work with. They go above and beyond to deliver the highest quality product at a price that fits your budget. We would not use anyone else! We hired Design Classics for our kitchen remodel after purchasing our home in the summer of 2017. We were given strong recommendations to consult the company for our kitchen design needs from both our realtor and our contractor. The process was low pressure, with great communication and transparency. Jennifer is highly talented, a complete pro, and we would recommend these services without reservation. We are thrilled with the final product and are looking forward to using Design Classics again for a basement bar remodel in the near future! Jennifer was a referral from the company we purchase our counter tops through. We immediately connected and she saw our vision. Jennifer was very professional and extremely helpful through the entire process. She met all deadlines and exceeded our expectations. 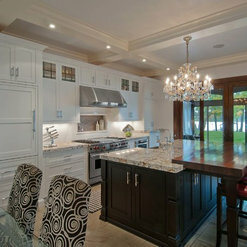 Our kitchen is absolutely beautiful and we have enjoyed showing it off and entertaining more. 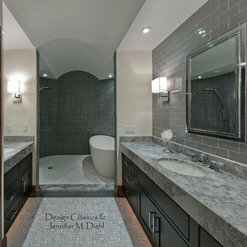 We would highly recommend her to anyone who is looking for a designer that knows the business as well as Jennifer does. Jennifer is the ultimate professional. 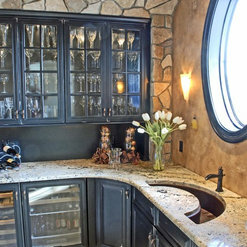 In 2015, she designed and oversaw a complete kitchen remodel for our home. In 2017, we asked her to redesign our master bath and update our guest bath. In all three projects, she worked with us to develop a vision and guided us through the projects. 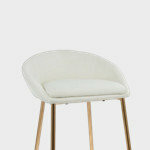 She offered suggestions and options that we would not have considered without her help, while respecting our design style. We are absolutely delighted with our new kitchen and bathrooms. They all have that WOW effect we were looking for. She presented us with detailed plans, quality material options, and cost projections in a timely manner. We would not hesitate to use her again or recommend her to others. Jennifer has VISION! She and her staff are wonderful to work with. 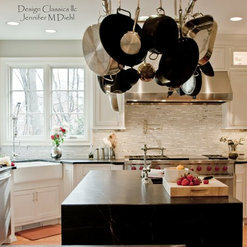 Jennifer took an old, poorly designed kitchen and made it fabulous. She took the time to get to know me, and created, for me, my perfect kitchen. I worked with Jennifer on our new home build, helping design all of our kitchen, bathroom and laundry cabinets and counter tops. She even helped with a built in bookshelf and a mud room bench She came highly recommended and still exceeded all of my expectations. She as very throughout, patient and had great insight and suggestions. From the beginning to the end she was very involved. 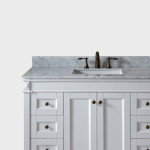 She personally verified all of the measurements for the cabinets herself and stayed very engaged with the builders. She was very responsive and always quick to meet and get back with me on any of my questions or comments. I cannot say enough about her! Our new kitchen is beautiful! The process was very easy and enjoyable. I love the showroom which allowed me to see many different styles and colors. Jennifer made an extra trip to my home just to assure me of spacing for my island. It is perfect! 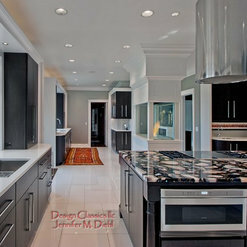 I can, with great confidence, recommend Jennifer and her staff for your kitchen design. Commented: Mfr and style name of floor tile please?Pewter Blend from Exquisite home source. 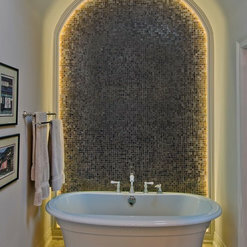 Commented: Mfr and style name of tile please?The floor is from Exquisite home source 419-724-5720 Pewter Blend. Ask for Karen.